ConCiencias resembled July’s CompARTE in many respects. The central corridor that wends its way between the CIDECI’s buildings was similarly filled with artisanal and culinary offers, which steadily grew over the course of the 10-day long meet, although more quickly than in July. Again, we were treated to the delicious baking of the CIDECI, with sweet coffee or tea, twice a day for a voluntary donation. But inside the auditorium and the classrooms in the seminar block, carpentry building and basketball court, it was a different story. For starters, the format of the programme was nothing like that of CompARTE, with two general sessions a day, in the morning and evening, concentrated in the auditorium, and one or two lots of ‘parallel sessions’ in between. This meant long queues of ‘listeners’ (escuchas), who were far more numerous than the capacity of even the auditorium would allow. Students watch Dr Manuel Fernández Guasti’s presentation on prehispanic astronomy in Salón 1, in the seminar block. I won’t go into detail about the subjects covered by the dozens of scientists, as these have been listed elsewhere, but I will say that there was a degree of repetition that, for a humanities and social sciences student like myself, helped to cement a few key points about the role of science today, particularly in Mexico. These topics included the institutional and economic barriers towards democratising science in Mexico; evolution, particularly theories that human beings are empathetic, not competitive; and astronomy. It was on this last topic, that the best class I had the chance to attend was given, on the penultimate day of the event. Contagiously passionate, highly dynamic and extremely didactic, Dr. Manuel Fernández Guasti explained some of his research into pre-hispanic astronomical methods in Xochicalco, a site of encounter between numerous indigenous peoples in the time before colonisation. Dwelling longer on the photos from his fieldwork than on the complex equations, and complementing the slideshow and talk with student participation, Dr. Fernández Guasti gave a lively and comprehensive introduction to this fascinating area of study. Without reducing its complexity he nevertheless took great care in moulding his pedagogy to his students; the Zapatista pupils (alumnas and alumnos) representing all their near and far-flung base communities. SubGaleano emphasised in his early participation that the content of these talks was not only for the 200 students present, but for the thousands of Zapatista women, men, children and elders to whom the students would relay their new knowledge, following the meet. This skill was epitomised in the interaction of three zapatista students representing the earth (a globe), sun (a torch) and moon (a book! ), who Dr. Fernández Guasti guided around one another, encouraging the rest of the students to shout ‘eclipse!’ when the three aligned so as to represent that phenomenon. This caused much hilarity in the classroom, and was repeated successfully several times – it seemed that the lesson had been learnt. Unfortunately, Dr. Fernández Guasti was more of an exception than a rule and both the evaluation given by the spokeswoman for the 200 Zapatista students and the final interventions by SubMoises and SubGaleano lamented the inaccessibility of the discourse used by the majority of the scientists. It was but a first encounter though, and SubGaleano thanked the scientists and urged them not to be disheartened by the limitations of the dialogue at this stage. SubMoises invited them to return to CIDECI in Dec 2017/Jan 2018 to resume the debate amongst themselves and thus further the cohesion of their ideas as a body of scientists. The evaluation of the Zapatista students and indeed their very presence was of course the biggest difference between ConCiencias and July’s CompARTE, and gave the encounter quite a different tone, although there was ample mention of the arts alongside the sciences in the subcomandantes’ reflexions on this new didactic tactic of the Zapatistas. 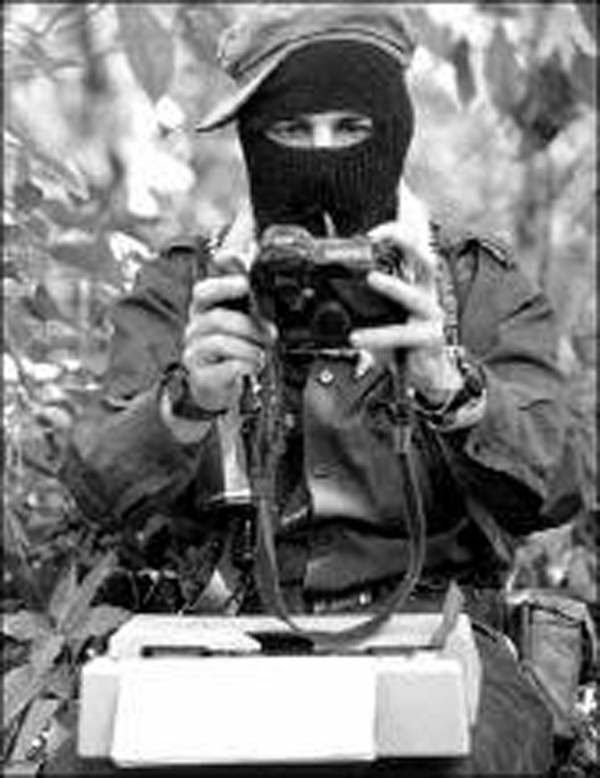 So clear were the objectives of the encounter for the Zapatistas that they carefully chose the scientists to invite, unlike the kaleidoscopic free-for-all that was CompARTE. For me this reflects the relative rigidity of the perception of science, in comparison to art, in the Zapatista perspective as expressed by the subcomandantes. The former has certain rules and stipulations, and the Western rational model is by no means rejected in the name of anti-capitalism; rather, the idea is to use it against its masters. Some of the scientists did allude to the world of knowledge outwith the bounds of ‘Science’ with a straightjacket ‘S’, but the discourse from the comandancia was clear; this was a forum for narrowly defined rational scientific discussion. Narrow in form, that is to say – where evidence and methodology were lacking in the presentations, the critique was not subtle. And in spite of the breadth of topics covered, at times the meet also seemed narrow in content, due to the aforementioned repetition of certain topics. So, the message to the scientific community was that there is more to be done: more self and peer critique, a better developed pedagogy, and above all, more organisation. With the political year ahead, particularly the imminent arrival of a certain bastion of stupidity in the power house of Mexico’s neo-imperial neighbour, I think we’re going to need all three. Of course, politically, 2017 has begun with what is arguably a much more important turn of events than the arrival of Donald Trump. The announcement of the CNI’s final decision to launch its presidential candidacy in the middle of ConCiencias did not go unnoticed, and cannot go unmentioned, particularly as the plenary was attended by nearly all the escuchas and scientists from the festival, as well, of course, as the Zapatista students. Following the hundreds of CNI representatives and guests, we filled and spilled out of the assembly building in Oventik, and afterwards were privileged to share a celebratory meal of beef soup, courtesy of the Zapatistas, and enjoy the anniversary festivities, which included dancing on the football pitch to live bands until well after dark. How can we relate the reflections and discussions of ConCiencias to the activity of the CNI? Well, for starters, the political proposal of the governance of Mexico by an Indigenous Governmental Council (the Consejo Indígena de Gobierno), with a woman at its helm, demands a reevaluation of the institutionally imposed racial, economic and gendered knowledge hierarchy of Mexico’s particular capitalist system. The persuasions and limitations of science under the current system, including the underrepresentation of women, not to speak of indigenous scientists, and the harm science is currently doing to the planet in the hands of the rich and powerful, were frequently discussed. Proposals for community science like that of Colectivo Alterius, several of whose members gave presentations, coincide with the horizontal, communal leadership proposed by the CNI. This is just one example from the blossoming of self-managed collectives in Mexico (autogestión) and communities fighting for the right to autonomous, communal governance; the proposal of the CNI hasn’t sprung out of nowhere. The significance of the coincidence of these two seminal events, ConCiencias and the 5th National Indigenous Congress is perhaps subject for another article, so I’ll leave my reflections here. Their trajectories will continue to intersect, I am sure, over the coming year, and when the scientists return to resume their discussions in December, the relevance of the CNI’s decision will be even more pressing. Photos author’s own unless otherwise stated.